Enjoy your stay among palm trees, in emerald waters and bougainvilleas! 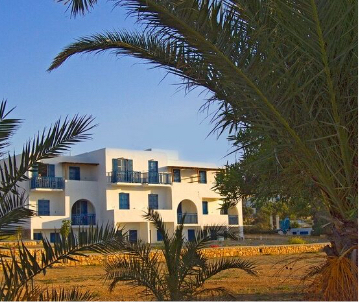 “Finikas” hotel and restaurant are located at only a small distance from the beach. The enchanting emerald waters of the Aegean sea wait for you only 5 or 6 meters from the hotel, making you feel as if you were already swimming, while the sound of the gentle waves promises to create the most peaceful and delightfully relaxing moments! If you are in search of a quiet environment, far from city noise, where life is simpler and people are more authentic and welcoming… “Finikas” is at your service! Welcome to Koufonisia, the smallest island of Cyclades! The smallest habitable island of the Cyclades is an area of only 3,5 square kilometers, with just 440 residents and is none other than Ano Koufonisi! It’s located at the southeast of Naxos and west of Amorgos island. The locals in this rather alternative place are mostly fishermen, farmers and shepherds, while many of them are in the tourism business. 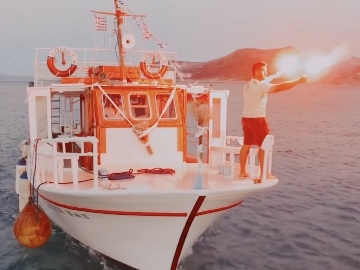 The island has the biggest fishing fleet in Greece, always when compared to its population. 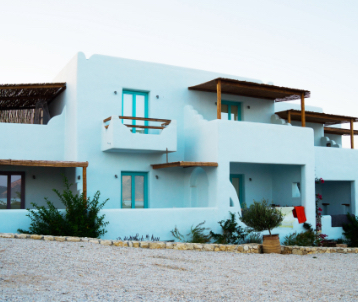 The natural beauty of its sandy beaches, emerald waters and – of course – the traditional Cycladic architecture is the main reason Ano Koufonisi is famous. Traditional Cycladic architecture and magical sea view are the key characteristics of all our fully equipped rooms! Fully equipped with AC, mini fridge and TV, our hotel rooms offer comfortability and tranquility during your vacation, for 2 up to 4 people. Equipped with a kitchen, sitting room, balcony with a sea view and accommodations such as AC and a mini fridge, they are perfectly adequate for 2 to 5 people. 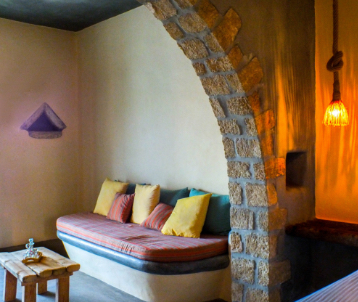 Combination of high architecture and traditional Cycladic decoration. The combination of our services and accommodations is bound to give you your ideal holidays. An unforgettable experience awaits in Koufonisia! Travelling back in time. . .
Back to the distant 1968, we find the beginning of Finikas’ story. It was when – due to a really bad weather – the captain of a ship sought and found shelter in the house of Dimitrios Mavros. When the storm settled, it was time for the captain to resume his voyage. Before leaving Koufonisia, though, he left an envelope with money, as a testament of his gratitude to the man that took him in. That envelope was the start for the building of the hotel, still existing to this day. 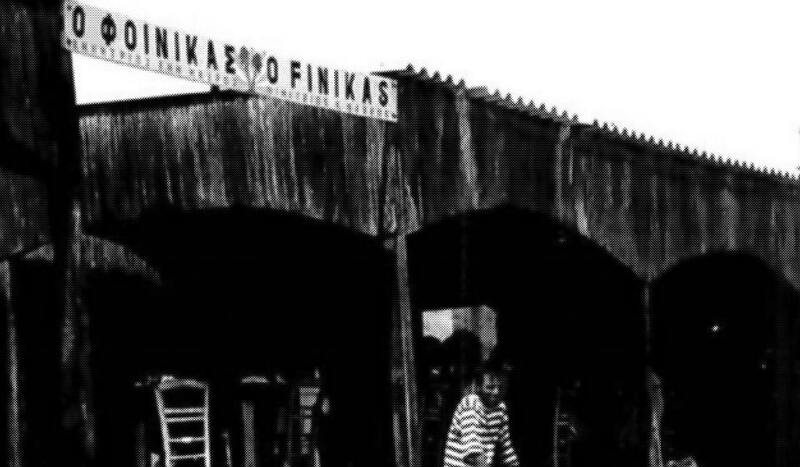 The way Finikas operated was groundbreaking for the island as its restaurant remained open for everyone! Even to this day, Finikas hotel and restaurant remain true to their very first values. Finikas still is an alternative and at the same time authentic place to stay and eat when in the island, celebrating its birthday every summer on the 26th of July! Everything you wish to know about Finikas and life in Koufonisia! 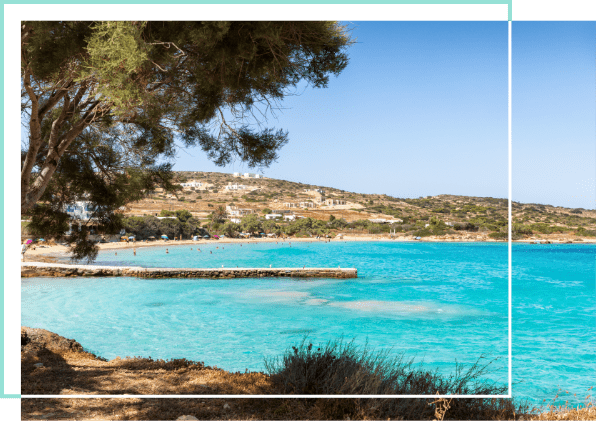 Wedding in Koufonissi: Exciting moments in the smallest island of the Cyclades!